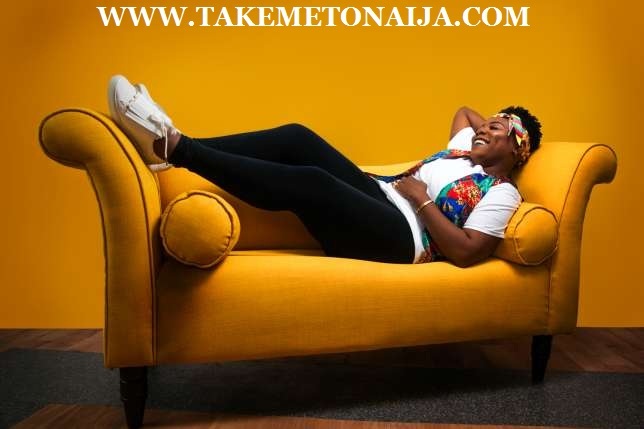 Teniola Apata, Teni Entertainer is one of Nigeria’s fastest rising musicians breaking new grounds in the music industry. and at sold out concerts. Her stage craft has always got people talking. charms has made it everybody’s favourite. mind that goes beyond one genre of music. She looks up to great artistes like King Wasiu Ayinde, King Sunny Ade, Ebenezar Obey, Osita Osadebe and Dolly Parton. Being signed to Shizzi, how does that feel? You are sisters with Niniola, how does her work affect your push for success? inspires me to be a better musician. The achievement divide that separates men and women. Do you think the Industry discriminates against female advancement? I don’t think so. I think the industry is beginning to accept females and the transition is going smoothly. What does “Fargin” mean and how did it come about? How did the song start spreading on social media? What is what advice you would give to people hustling out there?